Currently we are looking for a Code of Conduct and Accountability Officer – Junior EU Aid Volunteer to be deployed at DRC’s Office in Kibondo, Tanzania for 4 months. 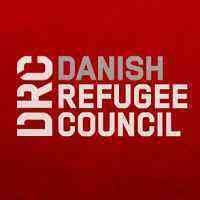 Before deployment the successful candidate will undertake a two-months apprenticeship at the DRC’s headquarters in Copenhagen. • An EU citizen or a long-term resident in an EU Member State. To learn more about the exact definition of long-term residency, please read here. • Striving for excellence: You focus on reaching results while ensuring an efficient process. • Collaborating: You involve relevant parties and encourage feedback. • Demonstrating integrity: You act in line with our vision and values. • Proven EU citizenship or long-term residency in an EU Member State (i.e. copy of pass-port/visa/authority letter stating approved long-term residency). If you are a long-term resident, please make sure to upload your permit. If you have any questions regarding the position, please contact Julie Motzfeldt, Project Specialist EUAV on email: [email protected] You can expect reply within five working days.